Born and raised in Paris, France, Soulkast , armed with incisive lyrics and a powerful flow, only at his 29 years old he has proved his creative breakthrough becoming, not only one of the top emcees in his country, but one of the most talented emcees in Europe . 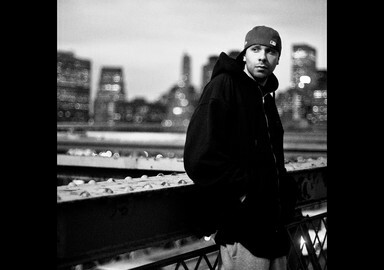 His first track, Premiere Salve, from his anticipated album Honoris Causa, was blessed by Dj Premier on the production and cuts. Last but not least, Soulkast has many collaborations on his way with overseas artists like, Ghostface Killah from the Wu-Tang Clan, the veterans Das EFX and M.O.P, Bone Thugs-n-Harmony, Talib Kweli and Onyx. He has also collaborated with many of Frances hip-hop legends like IAM, Kerry James and Medine. With these impressive featurings, Soulkast manage to take us back to the heyday of hip-hop and its roots Peace, Love, Unity and Having Fun. One of his latest collaborations is with the well-known American emcee Joell Ortiz from Slaughterhouse / Shady Records for the digital single Tattoo Gun Scarz. At the end, Soulkast show us his perfectionism through his latest video-clips, International feat. M.O.P, Premiere Salve feat. Dj Premiere and the self titled Honoris Causa track feat. IAM, directed by Koria Pictures.